Waking up at 4am to drive an hour north isn’t my definition of a good way to start a Saturday morning. 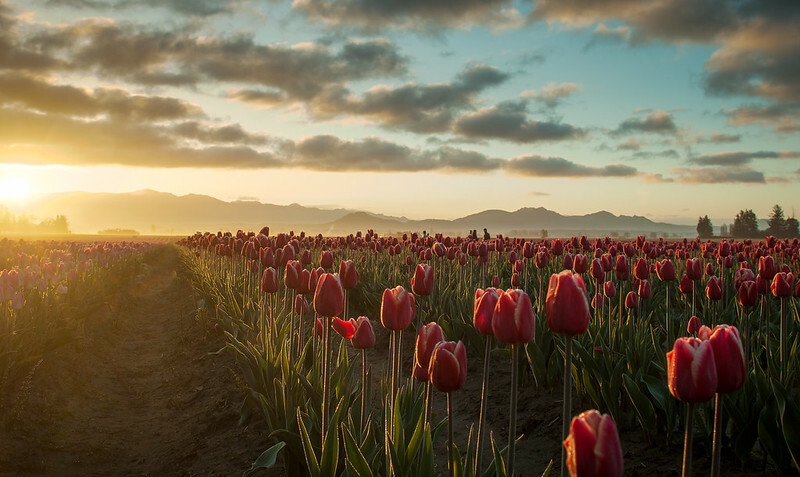 This weekend, however, my family and I (yes, my daughter, too) headed at dark to Mount Vernon, Washington to photograph the tulip fields at sunrise. The weather cooperated nicely, with enough clouds in the sky for texture but also letting through the brilliant bright sun as it crested over the Cascade mountains. After about an hour, the sun lifted into a thicker, higher cloud bank, which was the signal to go get breakfast (at Calico Cupboard in La Connor).